The brilliant thing about this is that it’s better for the planet – and apparently good nutritionally too. And, Rex loves them. The main insect ingredient comes from soldier fly grubs, which are reared in high tech vertical farms and fed on vegetable matter – and they grow to full size in just 14 days. The protein rich grubs are then mixed with insect flour, oil and raw insect product, before being added to the other pet food ingredients, which includes kale, seaweed, oats, potatoes and chicory. These vegetables are leftovers from supermarkets, which would otherwise go to waste. And, the insect pooh makes a great fertiliser. Yora’s research shows that ‘compared to beef farming their grubs need just 2% of the land and 4% of the water to produce a kilogram of protein’. That means 96% less greenhouse gas emissions. You might well argue that the nation’s pets are eating food made from waste meat and offal. The shocking thing is that many are not. 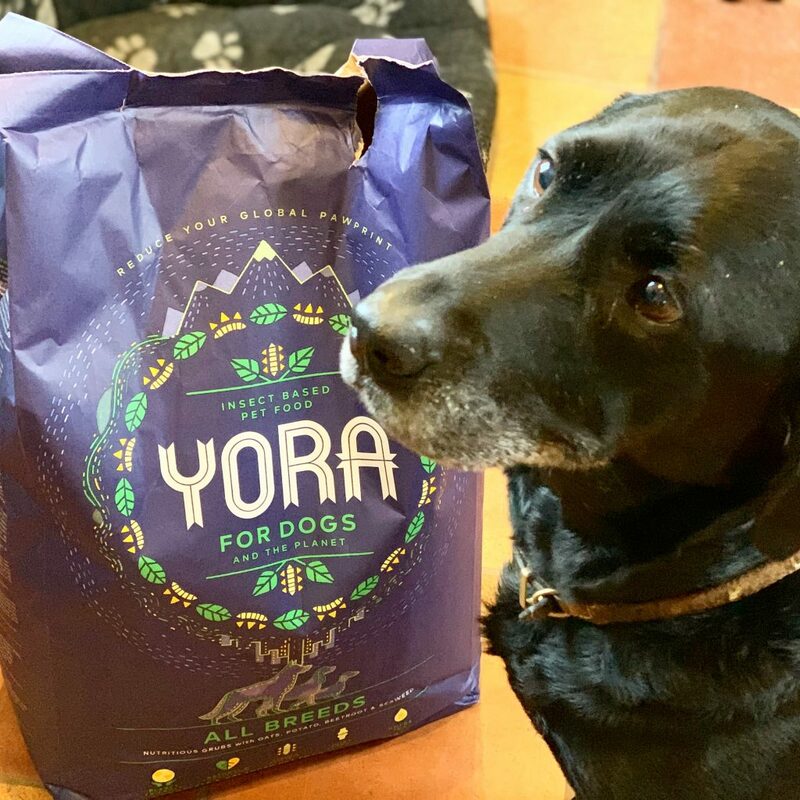 There’s a growing trend for pet-owners to seek specialist products for dogs and cats made from human-grade meat – as they want only the best for their beloved companion. A friend of mine noticed a lady who came into their fish shop regularly, buying the best salmon steaks on offer. Apparently, these treats where for her cat! Hopefully, there aren’t too many people like that, but it is estimated that pets consume about 20% of this country’s meat and fish. Rex seems happy to be a guinea pig and I’m pretty certain our cats won’t be making a fuss, when its their turn for some delicious and nutritious dietary changes. PS. I have a particular interest in using insects as a source of protein because many years ago I spent several months researching the potential to use freeze-dried, fruit-fly maggots in chicken feed. I discovered that there were many benefits, particularly as they were an excellent replacement to industrially caught fish. We couldn’t sort out the logistics, but perhaps Yora and Protix will take it further. I hope so. This entry was posted in BLOG, Home Page, NEWS, News 2019, Waste & Recycling and tagged Climate change, insects, Pet-food, Pets.